Please Note: This is a pre-sale and jerseys/caps are being made available before the games have been played. The items will be authenticated following the games and it's possible either item may no longer be available, or changed to Team-Issued depending on the authentication. 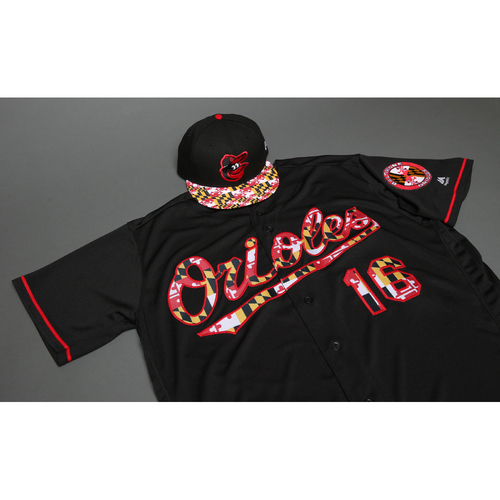 On Saturday, July 14th, the Orioles hosted Celebrate Maryland Day, with all players and coaches wearing special Maryland Flag accented jerseys and caps. Each player's authentic, game-worn jersey and cap was autographed and auctioned at www.orioles.com/auctions to benefit the Baltimore Orioles Charitable Foundation.